Hi, so im a little stuck with nameless guilly in the master quest, I have the units to beat her and explore the map but the question is how many units would be ok to spend for the rewards? EDIT: Wait did you mean Rifts or the Monthly Quest? If you want to put a price on it a master rift run is worth at least 700 units. 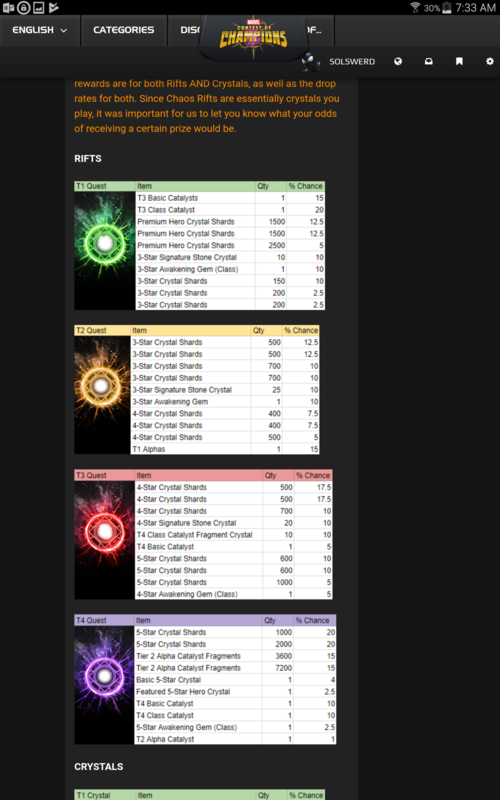 Here is the drop rates for the rewards in the rifts, if it helps.